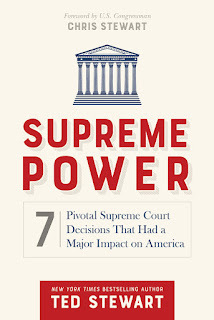 About the book: Bestselling author Ted Stewart explains how the Supreme Court and its nine appointed members now stand at a crucial point in their power to hand down momentous and far-ranging decisions. Today's Court affects every major area of American life, from health care to civil rights, from abortion to marriage. 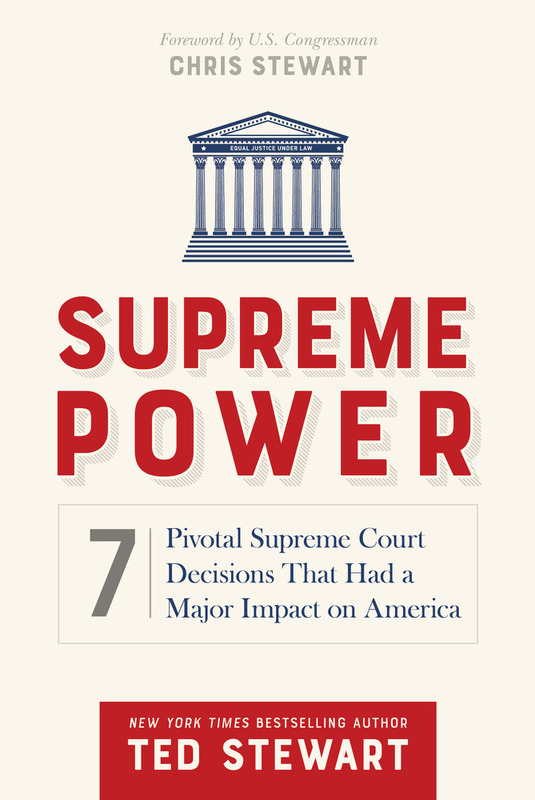 Filled with insight, commentary, and compelling stories of ordinary citizens coming to the judiciary for remedy for the problems of their day, Supreme Power illustrates the magnitude of the Court's power to interpret the Constitution and decide the law of the land. My review: This is not the type of book that I normally read, but it really sounded interesting to me and I'm so glad I took the time to read it! I really enjoyed this book! I like the way the 7 cases are presented. The way they are written is just interesting, it made me want to learn more. I liked that the author talks about the case, the events leading up to the case, the way the Supreme Court ruled, what changed because of the way they ruled and even how they used that ruling later in other cases. Just how much I liked this one actually surprised me! I thought the author did a fantastic job with how he presented everything in this one! Grab your own copy! About the author: Ted Stewart was appointed as a United States District Court Judge in 1999 by President Bill Clinton. Prior to that, he served as chief of staff to Governor Michael O. Leavitt, as executive director of the State Department of Natural Resources, as a member and chairman of the Public Service Commission, and as chief of staff to Congressman Jim Hansen. He has been a visiting professor at two state universities, teaching courses in law and public policy. He is the New York Times bestselling author of The Miracle of Freedom: 7 Tipping Points that Saved the World. This post contains affiliate links, which simply means if you click my link and make a purchase I may receive a small amount of money.